Today I want to write about a cute little bird called the Australasian grebe that I saw yesterday when I was on a walk with my dad and little brother. These cute little waterbirds are also known as the little grebe and grow up to 27 cm long. They have two sets of plumage, with bright feathers and a bright chestnut stripe through their heads during breeding season and a much duller set of feathers during the non-breeding period. They lay 4-5 pale blue eggs on a floating nest. When the chicks first hatch, they sit on the back of their mum’s back as she swims around. The mum sometimes feeds the chicks her own feathers to help line their tummies from fish bones. They don’t take long to become independent and the mum and dad can start laying eggs again very quickly, with up to 3 sets of babies able to be raised each breeding season. Australasian grebes are very common and can be found on small freshwater ponds and waterways throughout Australia, New Zealand, New Guinea and throughout the south Pacific. 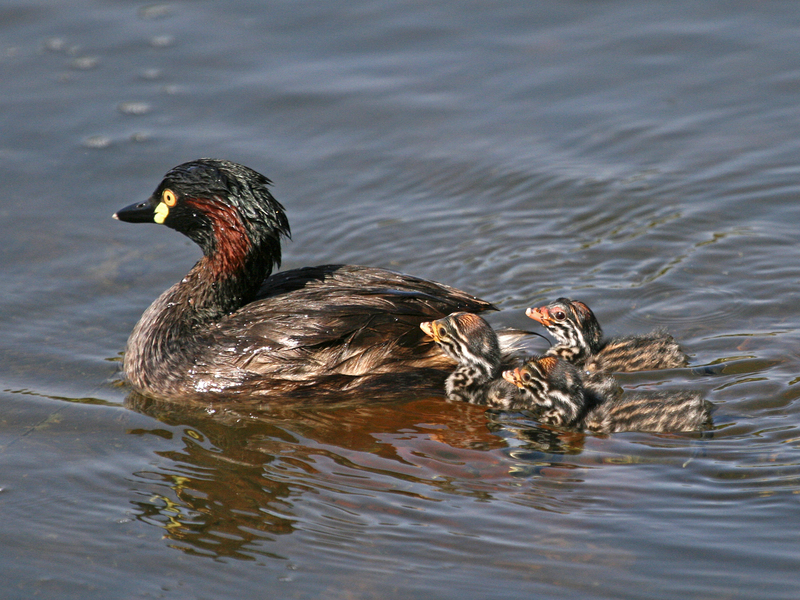 Are there any other interesting facts that you would like to share about Australasian grebes?